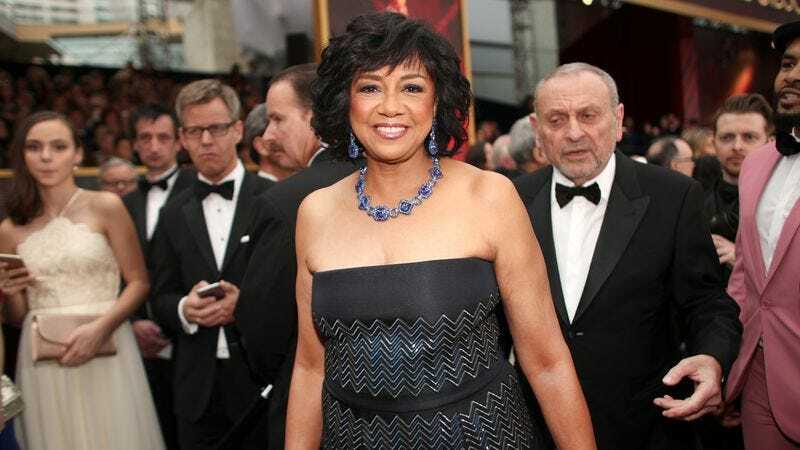 Though this year’s Oscars will forever be remembered as the one in which the accountants fucked up big time, Academy president Cheryl Boone Isaacs took a positive angle on the proceedings in an email to members available to read at The Hollywood Reporter. Boone Isaacs called Sunday “one of the best—and certainly most dramatic and talked about—Oscar ceremonies of all time.” Though “best” is debatable, “most dramatic and talked about” seems certain. In her note, Boone Isaacs praised nearly everyone that took the stage, including Warren Beatty, Faye Dunaway, and the Moonlight and La La Land filmmakers. She did, however, call out PricewaterhouseCoopers, now the official villains of this whole situation. By now, thanks to the non-stop coverage the past few days, we all know that the wrong envelope and the problems that ensued were caused by the failure of PwC’s accountants to follow established protocols and their delay in immediately remedying the situation. PwC has accepted full responsibility for the error. Rest assured changes will be implemented to ensure this never happens again. Brian Cullinan and Martha Ruiz, the two accountants responsible for handing out envelopes Sunday, have been fired from the Oscars gig. The Wrap detailed how both reacted nonchalantly when the wrong winner was read. “[Ruiz] was standing there with the envelope in her hand, very low-key,” stage manager Gary Natoli explained. “And [stage manager] John Esposito said that Brian was very low-key too, no urgency. But we had Martha open the envelope, and it said ‘Moonlight.” Now Variety is reporting that Brian Cullinan—who handed Beatty the wrong envelop and was tweeting—wanted to do a sketch with Kimmel. PwC denies that claim.